Q: Why is it that I feel hungry again an hour after eating Chinese food or other high carbohydrate meals? A: Have you ever wondered about the medical reasoning behind this phenomenon? It actually has to do with the way food is broken down in your gastrointestinal (GI) tract. As food passes through your small intestine, the nutrients are broken down into their basic parts and absorbed. Carbohydrates, which separate rapidly into single sugar units, are absorbed first. Proteins, which are broken down into amino acids, are next. And finally, fats are broken apart into fatty acids and absorbed last. That’s why high-fat meals keep you feeling full longer. A typical Chinese meal, which is high in carbohydrates (rice and noodles), will get absorbed much faster, leaving you with a growling stomach much sooner. In addition, not all carbohydrates are created equal. Some carbohydrates like white rice and white bread have a higher glycemic index, which means that they are broken down very quickly and cause rapid spikes in blood sugar. Carbs with a lower glycemic index such as whole grains are digested more slowly and only produce small fluctuations in blood glucose levels. For this reason, carbs with a lower glycemic index will keep you feeling fuller longer. Also, make sure you include a good mix of lean protein, low-fat dairy products and lots of fruits and veggies with your meal. 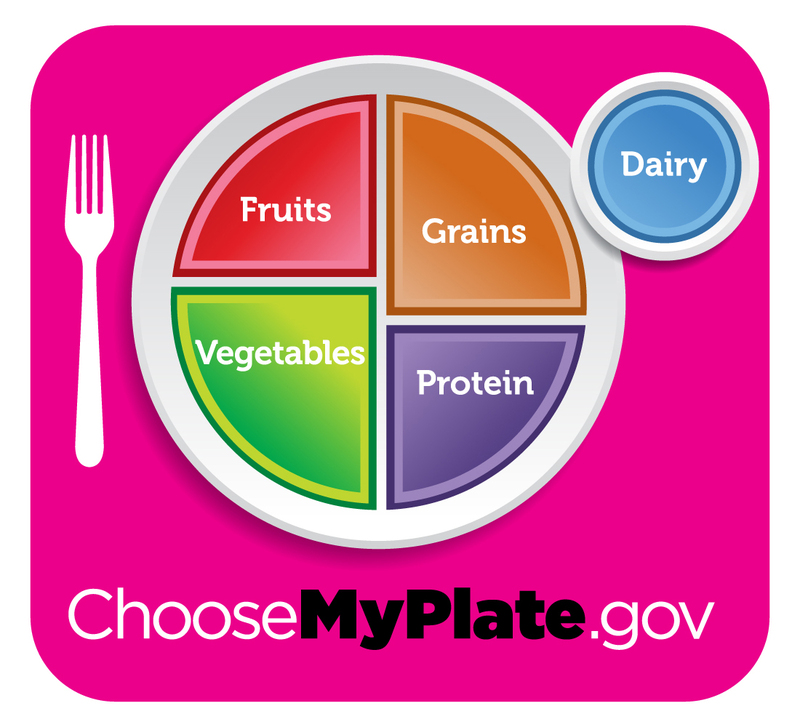 To get a better idea of what you should be eating with each meal, take a look at the USDAs “MyPlate” which recently replaced the old Food Pyramid that we all grew up with. 1. Liu S, Stampfer MJ, Hu FB, et al. Whole-grain consumption and risk of coronary heart disease: results from the Nurses’ Health Study. American Journal of Clinical Nutrition. 1999; 70:412-9. 2. Mellen PB, Walsh TF, Herrington DM. Whole grain intake and cardiovascular disease: A meta-analysis. Nutr Metab Cardiovasc Dis. 2007. 3. de Munter JS, Hu FB, Spiegelman D, Franz M, van Dam RM. Whole grain, bran, and germ intake and risk of type 2 diabetes: a prospective cohort study and systematic review. PLoS Med. 2007; 4:e261. Thanks, Kiran! I just bought a bag of brown basmati rice- it's great! Thank you for the excellent information on the differences between the glycemic index of white versus brown pasta, rice ect. It just takes a little longer to cook the brown rice. Q: Is it true that the hair of the dog helps a hangover? A: A great question to ponder as we recover from our New Year’s Eve libations! Although it’s a common theory that drinking more alcohol (“hair of the dog”) will help you get over a hangover, it hasn’t been proven and may even worsen your symptoms down the road. The symptoms of a hangover- headache, nausea, muscle aches, etc. have multiple causes including: the toxic metabolites of alcohol, dehydration, and withdrawal from the alcohol. So while drinking more alcohol may temporarily alleviate some of your symptoms, it will most likely cause you to feel even worse later on when your liver breaks down the additional alcohol. Obviously the best way to prevent a hangover is to avoid drinking too much, but if you do happen to overindulge, my personal advice would be to make sure you drink plenty of water and take a couple of Aspirin or Ibuprofen before you pass out- you’ll appreciate it in the morning!